I’ve decided to start writing about herbs, or Wortcunning. Wortcunning, by definition of Oberon Zell-Ravenheart, (“herbal wisdom”) is an old word used for discovering properties of plants. This type of cunning practice has been around for hundreds to thousands of years. It’s an old practice that I’m proud to study and be a part of. So I will go down a list and explain some common and rare herbs that witches use and how we use them. There are many types of Acacia growing throughout the world. Acacia is a genus of shrubs or trees from Gondwanian origin. Other names that this plant goes by is gum arabic, gum senegal, thorntree, wattle, or whistling thorn. 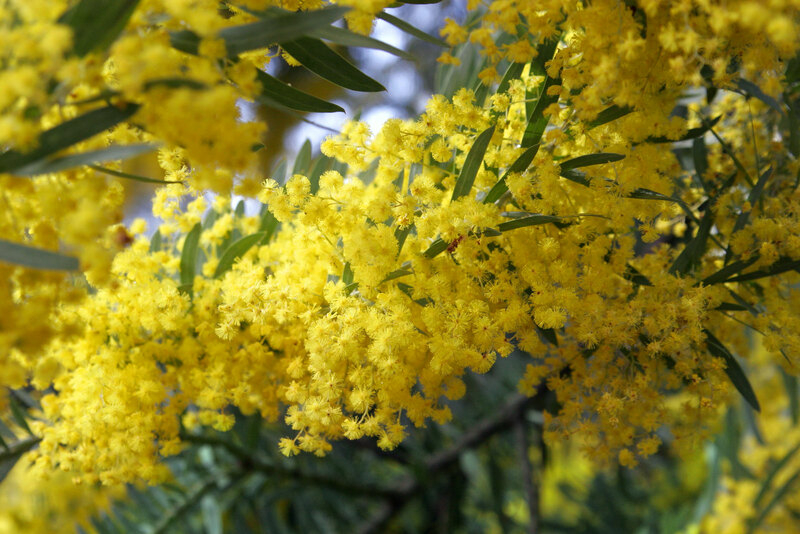 Folk names for Acacia are Cape Gum, Egyptian Thorn, Kikwata, Mkwatia, Mgunga and Mokala. You will mainly find these trees in Australia and Northern Africa along the Nile. The flowers, leaves, stems, roots, bark, resin, seeds, and essential oils are used. Medically, Acacia has many uses; few being: antibacterial, antihistamine, anti inflammatory, aphrodisiac, astringent, decongestant, expectorant, hemostat, hypoglycemic, hypotensive, neurostimulant, stimulant, and tonic. It is known to be used to treat bacteria, bleeding, bronchosis, burn, different cancers, childbirth, chill, cholera, congestion, conjunctivitis, cough, diabetes, diarrhea, dysentery, fever, flu, fractures, gingivosis, gonorrhea, hemorrhoid, hypertension, hyperglycemia, infection, inflammation, insanity, leprosy, pneumonia, pulmonosis, smallpox, snakebite, sores, sore throat, stomach ache, syphilis, tapeworm, toothache, tuberculosis, typhoid, and wounds to name a few. Large internal doses may lead to constipation and dyspepsia. For magickal uses burn the herb and oil for altar offerings. It aids in psychic powers and mediation. Placing a sprig over the bed wards off evil.